Happy Kartini Day’s for all womens in Indonesia.Now i will share some information from the emancipation of women in Indonesia. I hope this article could be interesting reading for reference Indonesian women. 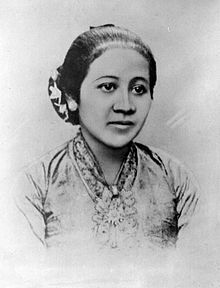 Raden Ayu Kartini, (21 April 1879 – 17 September 1904), or sometimes known as Raden Ajeng Kartini, was a prominent Javanese and an Indonesian national heroine. Kartini was a pioneer in the area of women’s rights for Indonesians.